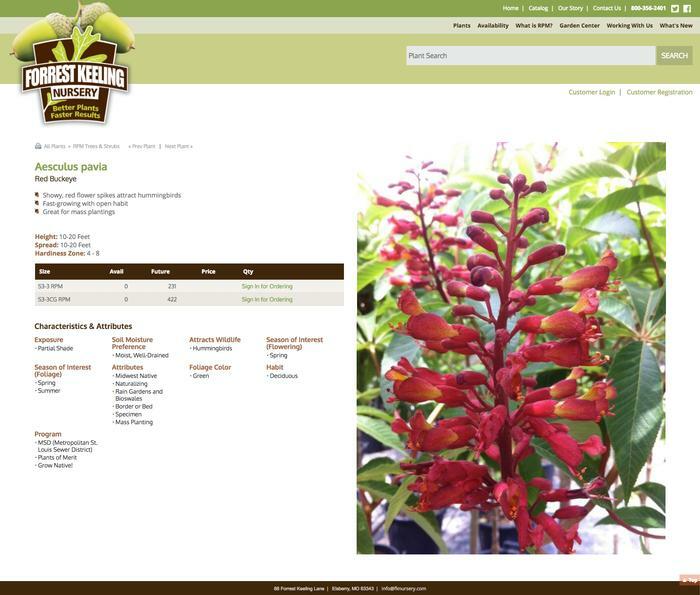 Forrest Keeling grows over 97 varieties of seedlings, 122 varieties of RPM® potted liners, 22 species of oaks and 27 varieties of nut trees. 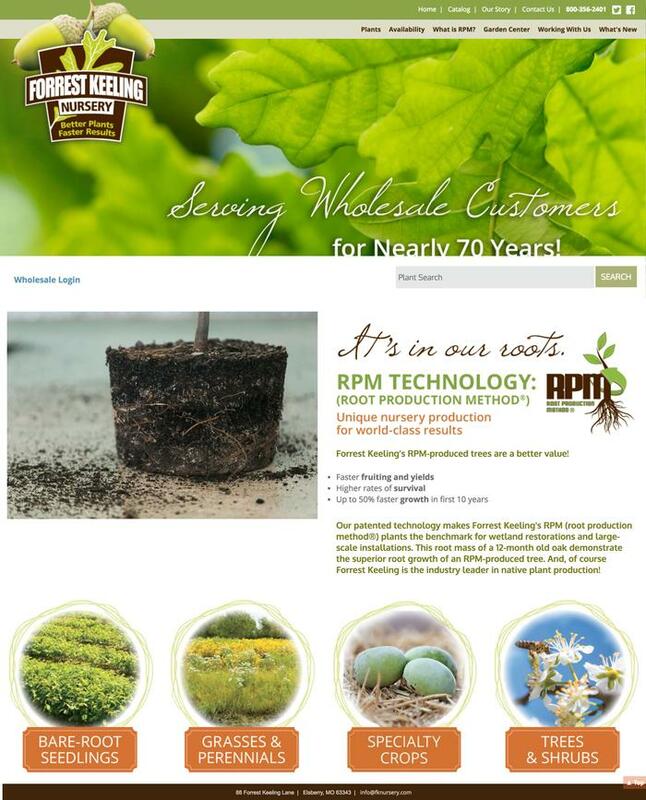 We specialize in native plant material. Finished stock includes ornamental shrubs, evergreens, and caliper trees up to 3" in diameter. Garden Center Signage with www.POPsignage.com. The site has a secure wholesale section available after logging in. Additional information such as wholesale pricing is available for authorized users.